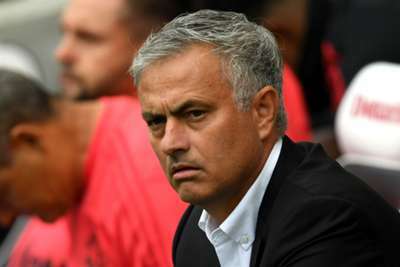 Jose Mourinho believes Manchester United lost focus after the mistakes that set his side on course for a shock 3-2 defeat at Brighton and Hove Albion. United were poor defensively in the first half on Sunday and conceded twice in quick succession to Glenn Murray and Shane Duffy, before Eric Bailly gave away a penalty on the stroke of half-time after Romelu Lukaku's goal had given the visitors hope. And Mourinho revealed it was difficult to lift his side at the break as United's confidence was severely damaged by the hapless showings of Bailly and defensive partner Victor Lindelof. "There were too many mistakes and we were punished for the mistakes. Sometimes teams make mistakes and you are not punished," Mourinho told Sky Sports. "We were always punished for every mistake we made. "At half-time we tried; in the second half we tried. But from a mental point of view, the accumulation of the mistakes and the punishment of the mistakes with goals was giving confidence to a good team like Brighton, and took that confidence from us. "I was not expecting these big mistakes - we are not talking about small mistakes - and we were punished by these big mistakes. "You lose your confidence, there is a tendency to lose the direction of the game plan. We came here with an intention and then suddenly you are losing 2-0. "You score the first goal and you think let's go to the second half at 2-1, on a high, and then suddenly you make that mistake and concede that goal. You go to half-time in a situation where the players are really, really, really down." The United boss was reportedly frustrated by the inability to sign a centre-back in the off-season, but he refused to discuss transfer window failings on Sunday. "The transfer window opens on January 1," he said. "It's closed." And Mourinho would not criticise his players, believing that he would receive unfavourable media coverage after alleged disputes with the likes of Luke Shaw and Paul Pogba. "When I speak about individual performances and I'm critical about my players, you do not accept it," he said. "The press, the pundits are usually very critical of me when I go in that direction. Please do not ask me to go in this direction. It's not good for me. "I will be very, very happy to analyse my players' performances when the performances are very good. It's a great thing for me to come in front of the cameras and say players A, B, C put in fantastic performances. "When I cannot do that, don't push me to the other side. I do not go to the other side."